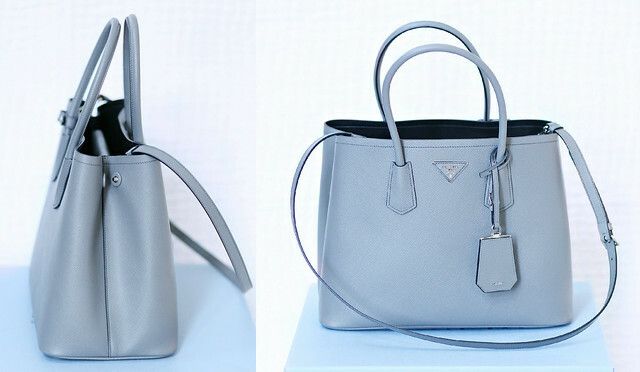 For this week's handbag chit chat, I wanted to do a quick review on this Prada Cuir Double bag. We purchased this bag in September as a gift for my birthday. I've been looking for a tote to add to my handbag collection for quite some time. 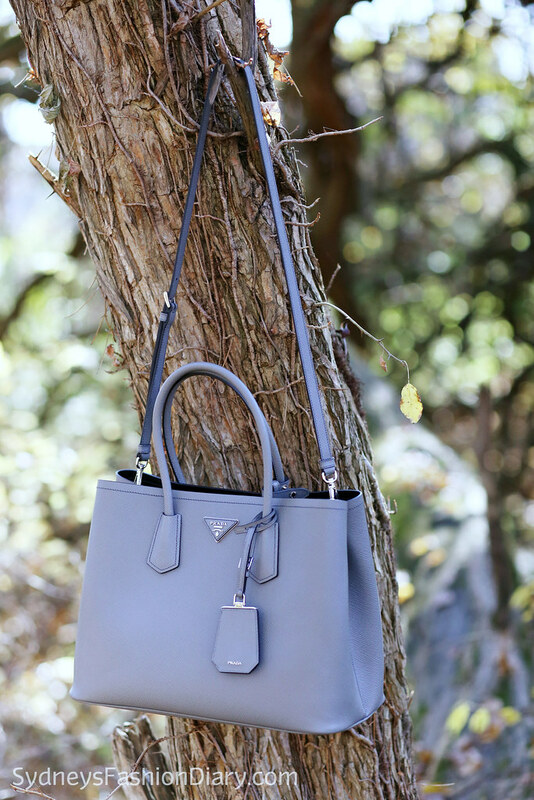 A few years ago, the Prada Lux tote was (and still is?) very popular. I like the bag for the most part but feel like the style is too dressy for my lifestyle. I liked it but wasn't enough to make a splurge. I ended up getting the Tory Burch Robinson tote as an alternative but eventually found a new home for it because again, the style of the bag didn't fit my lifestyle. I work in IT without interact with clients so the style of the bag is too formal for work and it doesn't work as a weekend bag for me, either. To be completely honest with you, I do think the bag is a tad big for my frame. I haven't come across this color in a size small. I don't even know if it's available. However, I am OK with the size as it's meant to be a big tote. I hope you find this review helpful. If you have any questions regarding the bag, feel free to leave me a comment below. Have a wonderful weekend, everyone! I have been lusting after this bag forever! Loved reading your review--it's absolutely gorgeous! Great review and beautiful bag! 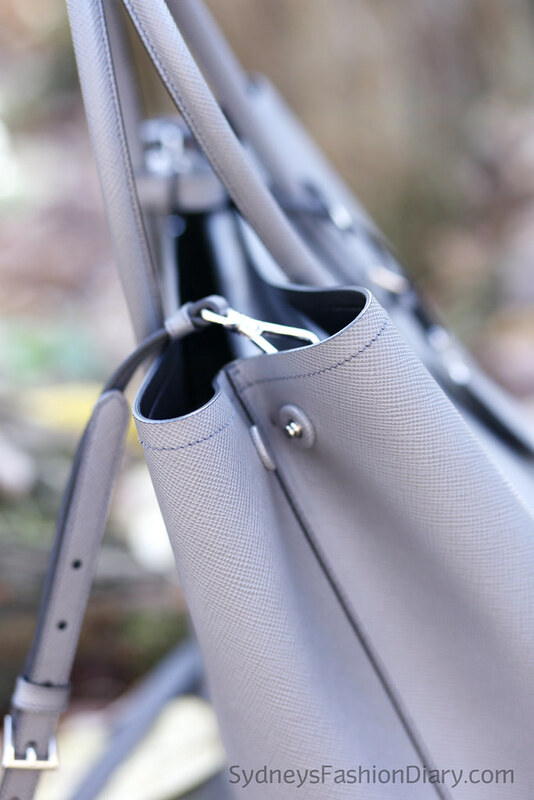 beautiful bag and great review! Love the color. I'm getting mine in the small size and I decided on the caramel with red interior. So exited!! Great review!